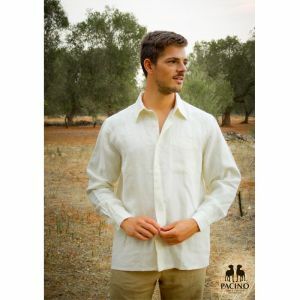 PACINO ethical natural manifacture ® is an Italian trademark of organic clothing for men and women in hemp, cotton and other natural fibres, founded in 2007. 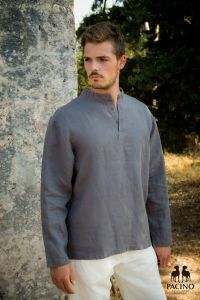 Our clothing, sporty or casual, is ideal for outdoor living, leisure and any situation in which maximum comfort and relaxed elegance is required. 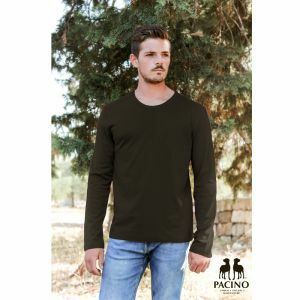 Pacino garments, purposely simple and of refined quality, are made thanks to a specific trade agreement with North European partners. We only use eco-friendly colours and no heavy metals are used in the process of fixing colour. 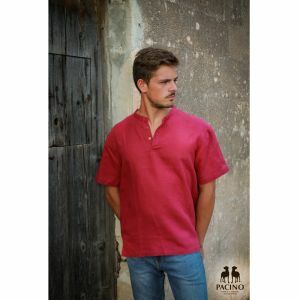 The production chain and organic fibres used are certified by International Bodies of control to guarantee the environment and people who, from farm to factory, work on the making of this product. A young and innovative project. 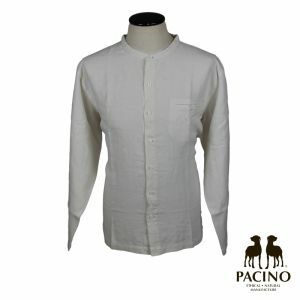 It started with the intent to raise awareness of critical and conscious consumption, more generally it deals with “critical wear”, connecting ecological themes with those of ethics in production models (from cultivation to production) and marketing, a field in which, also thanks to information activities, Pacino already is, and will become even more, a reference point at national level. Ethical. We believe that first of all we should talk about protection and safeguard of worker’s rights. This is why we adhere to ILO conventions (29,100, 105,111, 138). Natural. We use fabrics from BIO Certificate cultivation. Organic cultivations do not use chemical fertilizers or pesticides, which are polluting and hazardous to your health. 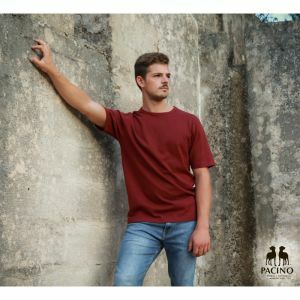 Wearing Pacino means helping eliminate the use of harmful substances and saving water by 50% compared to traditional production. 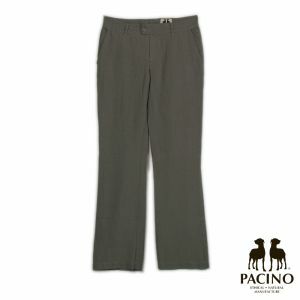 Pacino garments are manufactured in natural fibres certified by the major international organic certification organizations such as BCS and Skal, manufactured by international standards of textile ecology as "Oeko-Tex Standard 100", environmental certification of production site promoted by the international association Oeko-Tex International, which guarantees products and production methodology in terms of human-ecological and safety for the wearer’s health. They are produced in accordance with international standards and conventions for the protection of workers drawn up by the International Labour Organisation (ILO) and in particular the Conventions C29 and C105 (no forced labour), C100 and C111 (no discrimination) C138 (underage labour) and regarding products made in China: above-average wages in the region by at least 20%, maximum 7 hour working days, decent working conditions. 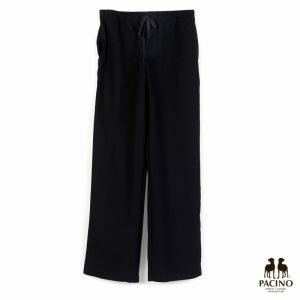 Moreover, the organic hemp and organic cotton used by Pacino are cultivated in areas certified by IMO (Institute for Marketecology). Hemp is a 100% recyclable natural fibre, the fabrics obtained from hemp fibre are very soft and pleasant to touch. The hemp we use is grown without the use of pesticides and with a moderate amount of water, much less, for example, than that used in cotton cultivation. 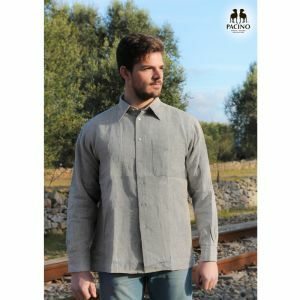 Moreover, compared to cotton it is five times more resistant: a hemp fleece lasts longer than a cotton one, does not get ruined when washing and does not crease easily. 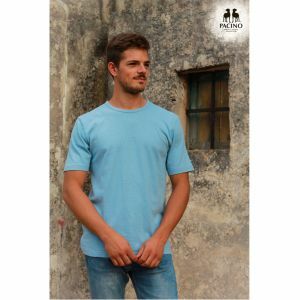 Due to its structure hemp fibre effectively protects from the cold and excessive heat: wearing hemp means being warm in winter and cool in summer. Soft, breathable and comfortable, hemp fibre is great for thermal regulation and sweat absorption. 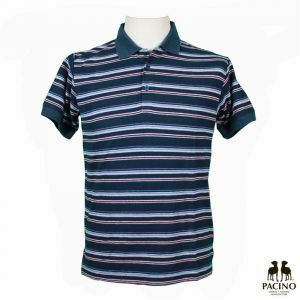 The colours of PACINO garments are eco-friendly, in other words no heavy metals are used in the process of colour fixing. This characteristic, along with the absence of pesticides and chemical herbicides on the crops of the fibre plants used, really make a difference to the health of the skin (especially important for undergarments) and, of course, the environment. Hemp is resistant to mites, moulds, fungi and moths; it is also hypoallergenic and does not conduct electricity and so does not static charge. 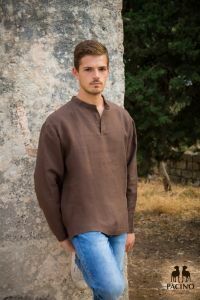 The non-toxicity of the fibres makes organic hemp garments highly tolerated even by those who have skin problems, allergies or hypersensitivity to chemical treatments which 'conventional' fabrics we normally use undergo, or simply by people that suffer from excessive sweating when wearing synthetic fibres. 55% Organic Hemp, 45% Organic Cotton, jersey. (*) ATTENTION: has slight discoloration on the front and small stains on back due to exposure. 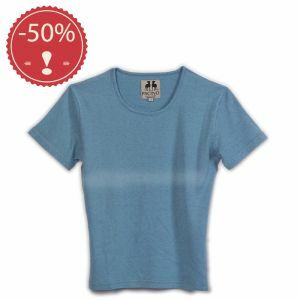 55% Hemp, 45% Organic Cotton OUTLET - (*) ATTENTION: has slight discoloration on the front due to exposure (See picture). 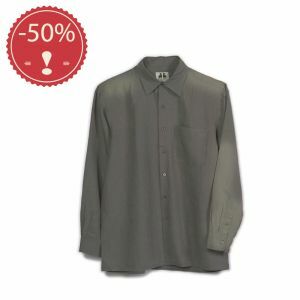 55% Hemp and 45% Organic Cotton OUTLET - (*) ATTENTION: has a slight discoloration or a little stain on the front due to exposure (See picture). 55% Organic Hemp, 45% Organic Cotton OUTLET - (*) ATTENTION: has slight discoloration on the front due to exposure or small stains on front, or small drip on front (See picture). 100% Organic Hemp OUTLET - (*) ATTENTION: has a slight discoloration on the shoulders or on front and sleeves due to exposure (See picture). 55% Organic Hemp, 45% Organic Cotton, jersey. 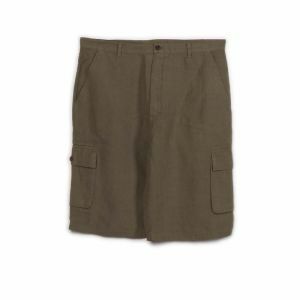 Very light and breathable, suitable for spring, autumn and summer. For all ages. 55% Organic Hemp, 45% Organic Cotton, jersey. 55% Organic Hemp, 45% Organic Cotton, light jersey. 100% Organic Hemp, light weaving. Maximum breathability and freshness. 55% Organic Hemp, 45% Organic Cotton, maximum comfort, sensitive skin. Very traspiring: ideal in spring and autumn. 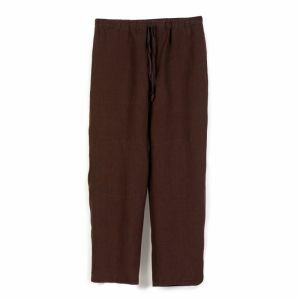 52.5% Organic Hemp 42.5% Organic Cotton 5% Spandex. Hypoallergenic, transpirant and soft to the touch, ideal for delicate skins.